No one does an all-nighter out of choice, but now and then we are forced to do so. It could be a looming academic assignment that needs completing before the deadline, or you could have just been given a night work shift for the first time. No matter the reason you need to make sure that you’re prepared for it especially if it’s the first time you’re doing it. By following these steps, you can neutralise the potential adverse effects and ensure that you stay as productive as possible throughout the night. Why are all-nighters bad for the body? First of all, you need to understand why an all-nighter shouldn’t be a regular occurrence because of the harm that it can do to the body. The usual reason that you’re doing an all-nighter is that you need to concentrate on a specific task which is usually a piece of work. However, pulling an all-nighter can make it harder to focus because sleep deprivation harms cognitive ability. Studies have shown that the higher the level of sleep deprivation impairs attention and memory. This means as the night progresses you may find it increasingly harder to concentrate on your assigned task. When you’re suffering from sleep deprivation, you’re more likely to make poorer eating decisions which will lead to grabbing unhealthy convenience food. If you’re regularly having all-nighters and eating junk food, then this can result in unwanted weight gain. ​Beauty sleep is a real thing! Poor quality sleep leads you to have dark circles under your eyes and saggy eyelids which means you’ll look less attractive. Whereas these symptoms disappear when you’ve had a full nights sleep. While you sleep, the body goes through significant repair and rejuvenation throughout the night. This includes your immune system which helps to fight off infection and disease, and it does this by releasing proteins called Cytokines. The release of these proteins are heightened throughout sleep, so if your sleep levels are reduced then, your immune system will produce fewer antibodies. If you miss a full night of sleep, then you make your immune system more vulnerable to contracting an illness. The Circadian rhythm is the bodies 24-hour internal clock which is located in the brain and helps to regulate numerous functions within the body including alertness, hormones and body temperature while also being the reason why you feel tired at night and energetic in the morning. Once you have an all-nighter, this can throw your circadian rhythm out of sync which can then make it harder for you to fall asleep at the right time the following night. On the extreme side, just one all-nighter can alter the genes within the cells of your body. Having an all-nighter can emotionally cause a huge change in your normal mood which is caused by sleep deprivation. This can then lead to you feeling irritable while also affecting your overall judgement and decision making. The science behind this is that sleep deprivation causes the prefrontal cortex to stop functioning which is an area of the brain that is responsible for triggering decision making while pleasure driven pathways are subject to increased activity. It can cause you to make more impulsive decisions without having the triggers to tell you when to stop. How to make it through an all-nighter? Chances are is that if you’re doing an all-nighter you haven’t become aware of this on the day, it takes place. This means that you have time to prepare physically and mentally for it and there are several steps you can take to do this. 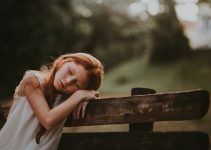 The first is to ensure that you get a full nights sleep and you may even decide to sleep in a little to make up for the upcoming sleep debt build up. It’s also advised that you take a short nap right before your all-nighter begins as this will leave you feeling energised and ready to attack the tasks that you need to complete. Your preparation also includes what you have planned the following day. Ideally, your next day won’t be busy so you can have a lengthy recovery without being interrupted. The last thing you need is for sleep deprivation to span multiple consecutive days. ​Completing an all-nighter is no easy feat, so you need to be sure that it’s vital. If it’s for academic reasons and you’re trying to cram in a full year worth of work in one night, then this will not work. What you need to do is break it down into the most critical parts to make sure that you digest enough to recall it successfully through the examination. You should always make sure that you don’t stay up for the full night and that you always leave a few hours for sleep. If it’s work related, then you should try to find an available alternative which could be swapping with a willing co-worker or speaking to your manager which will often work if you don’t usually work nights. The best way to make an all-nighter effective is to create a clear outline of what you’re setting out to accomplish throughout the night. Doing an all-nighter is the one time you don’t want to waste time procrastinating. Setting goals will keep you on track and will give you a sense of achievement as you tick them off throughout the night. The goals could be as simple as learning a presentation or memorising a set of notes. For most people, all-nighters and caffeine are their go-to combination, but it’s not the best thing to do. When you’re doing an all-nighter, it’s likely to go to last a minimum of 8 hours. However, caffeine will usually give you a boost for just a few hours. The issue with this is that it will leave you feeling super focused for 1-2 hours however after this you will become drowsy and hit a wall for the remainder of the all-nighter. This means that although your productivity will be efficient to start with, it’ll then tail off significantly. Usually, in the day time when you crash, you’ll often be able to continue with the day, but if you crash while doing an all-nighter, you most likely won’t be able to handle it and will end in bed asleep. Instead of reaching for caffeine drinks you should switch to an alternative such as water which will keep you both hydrated and awake. There’s nothing wrong with eating throughout the night, but it’s all about making the right food choices. Sweet and chocolate may seem like a good idea to keep you motivated, but they will ultimately result in a crash not soon after. It’s essential that you eat food that will keep you going such as fruit, vegetables and nuts while not being too heavy that it makes you tired. It’s not just the food that keeps you awake, but the habit of chewing also helps you to maintain focus. Small and frequent snacks are much more effective than big meals that can cause you to lose concentration and also waste time that you could be using to work. By now we all know how vital water is to the human body, but its importance is heightened further when going through an all-nighter. Water can also cause an energy boost and keep your concentration levels high. 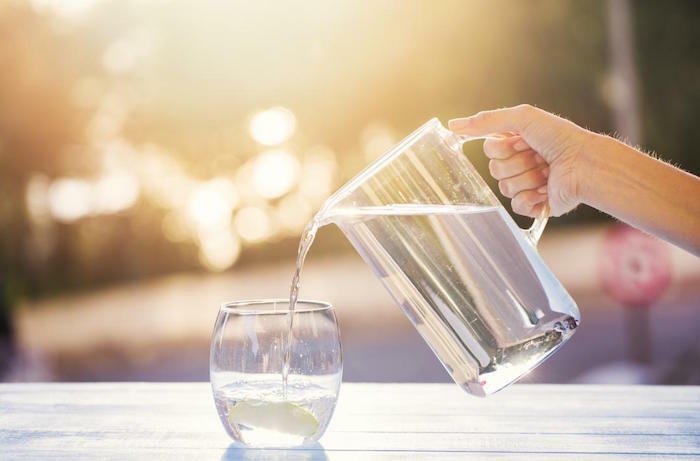 We often spend a lot of time being thirsty without even knowing it and drinking non-water drinks such as fizzy drinks, coffee, alcohol only dehydrates us further. Dehydration will have a substantial negative impact on the quality of your all-nighter due to causing low productivity, low motivation and fatigue. These issues can be solved merely by just drinking water. Ideally, just a couple of litres per day will do the trick and continuing this throughout your all-nighter. Your body needs the added hydration to keep the body going as it’s used to being in a relaxed sleep state at that time. We’ve all been there where we’ve outlined some lofty goals for our all-nighter only to be sidetracked by YouTube or Netflix. During an all-nighter, time is your most precious commodity, so you need to take precautions to ensure that your attention doesn’t get affected. There are several ways to do this. The first is to use a browser blocker which can block access to certain websites. You can also move electrical items such as tv’s and tablets away from your work area so you can fully concentrate on your work. If it’s a last minute assignment or project, then distractions are probably the main reason that you’re in this position now, so the best thing is to remove them from the very beginning. Your body naturally prepares itself for sleep in the evening by dropping its internal temperature and triggering the release of sleep hormone Melatonin which leads to the feeling of tiredness. To combat this, you need to make changes to your environment, so you need to ensure that you’re working in a well-lit room which will stop you feeling tired. It’s also recommended that you have a window open to let fresh air in because if the room becomes too warm, then this will trigger a sleepy feeling. The idea is to replicate the complete opposite of a sleeping environment so you can stay awake. If you’re doing an all-nighter, then you’ll rightly think that you need to be glued to your seat for eight hours while you crank out the work. However, this is the wrong approach and shouldn’t be done in the day time let alone through the night, because this is one of the main ways you can lose mental focus and makes it easier to zone out. Our bodies have a natural cycle called the Ultradian Rhythm which essentially means that we can only work for set periods of times before we then begin to lose focus. This can range from person to person, but usually, it’s around 90 minutes. Often we’ll try to force out way through this barrier, but it will just waste more energy when you could take a break. If you’re in your home, then this could simply be going to the kitchen to prepare a small meal, or if you’re in a workplace, then a short 10-minute walk will also be sufficient and allow you to clear your head and prepare for the next burst of work. How Often Should You Change Your Pillow? 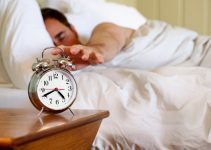 How Does OverSleeping Affect Our Sleep?